Updated October 8, 2017. Boss’s Day is just around the corner! Although not an official federal holiday, it is a “holiday” observed, annually, on October 16 or the closest working day each year in the United States. It is a day dedicated to all employers. 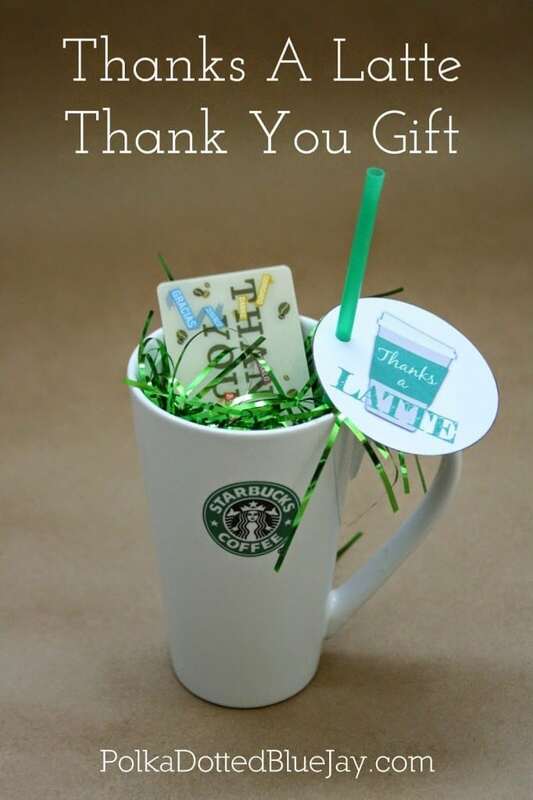 In prior years, have you given your boss a gift, expressing your gratitude? If not, there’s no time to start like the present – no pun intended~! 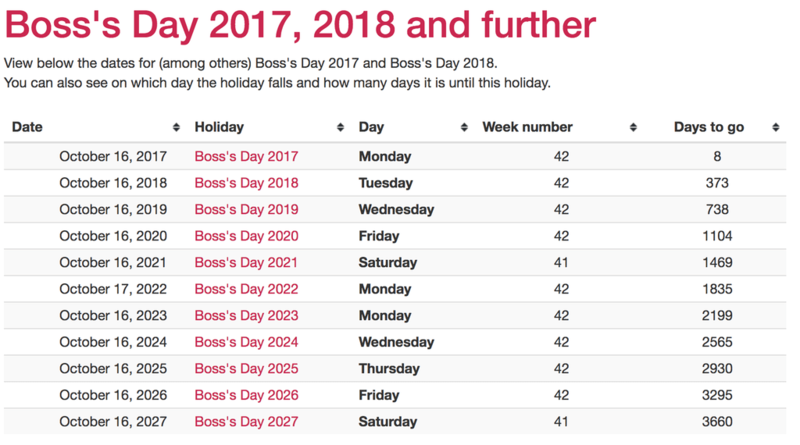 What Exactly is Boss’s Day? Seriously, I had no idea what Boss’s Day was until it popped up on my recently subscribed to Social Media Calendar from Twenty20. 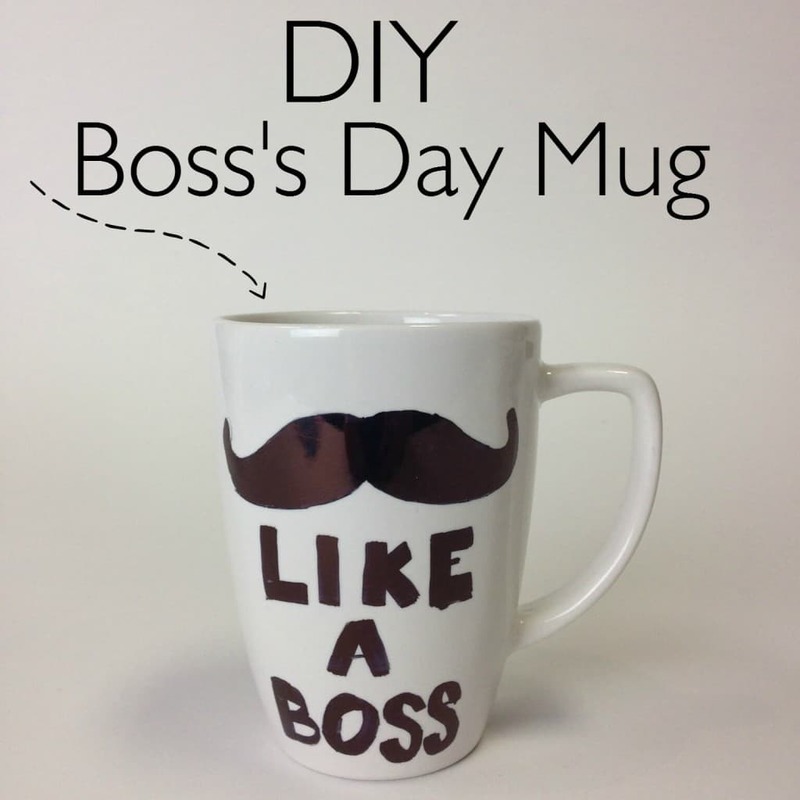 Boss’s Day is celebrated on October 16 (or the nearest working day) in the United States. 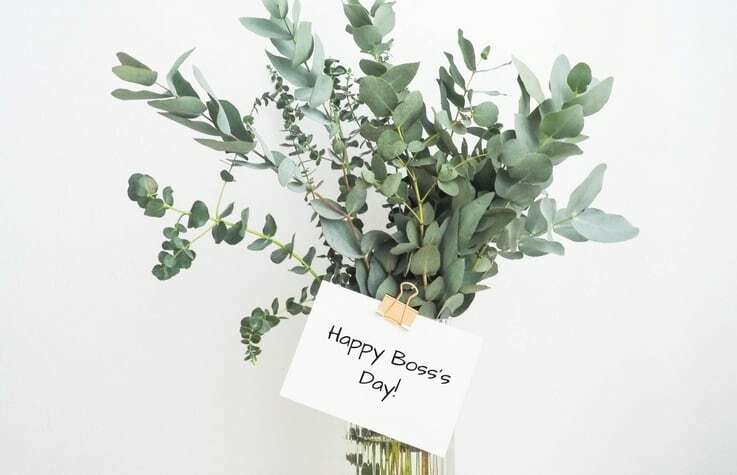 Today, Boss’s Day has gained increasing popularity, not only in the United States but across the world, and is now also observed in countries such as Canada, Romania, Australia, India, and South Africa. 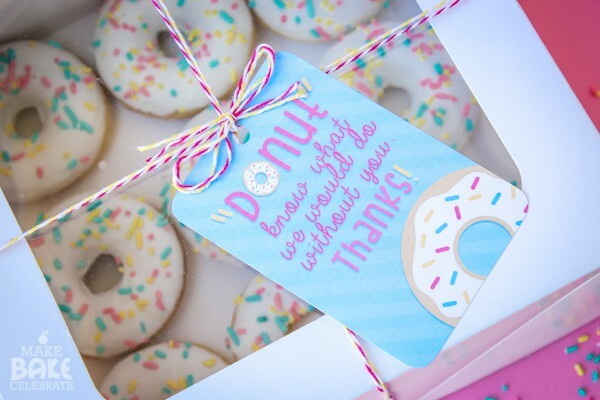 It has traditionally been a day for employees to thank their bosses for being kind and fair throughout the year. This day was created to strengthen the bond between employer and employee. Although the holiday is still controversial, it has become increasingly popular since its creation. So, how do you say thanks? Just kidding, but wouldn’t it be fun to find a creative, inexpensive way to say thanks? One of our more popular posts from last year lists 21 Unique Gift Ideas a Small Business Owner Would Love and Appreciate. Some are cool, some crazy, some useful and some just plain ridiculous. 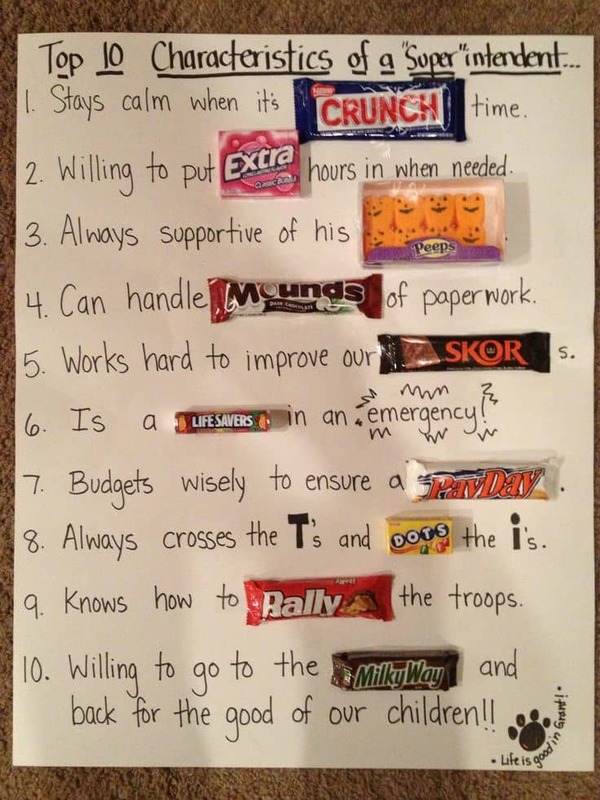 Thanks to Pinterest and other secret sources (source 1 and source 2) here are 29 fresh, creative and inexpensive ways to say THANK YOU to your boss on Boss’s Day! 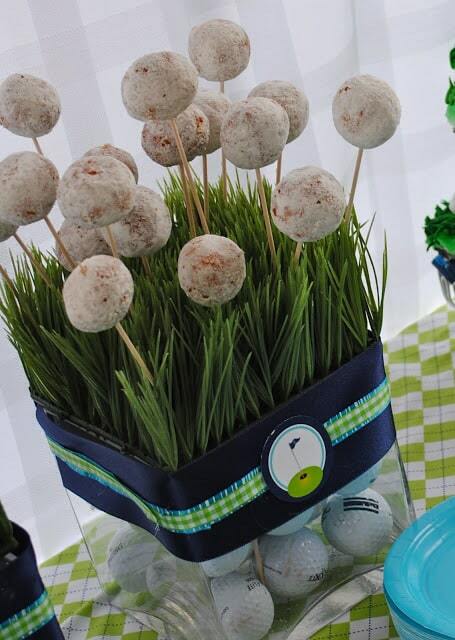 1(a) – Donuts, Wheatgrass & Golf. These three go together like…but seriously, who doesn’t like donuts? 1(b) – Donut Know What I Would Do Without You. Awe, such a SWEET sentiment. 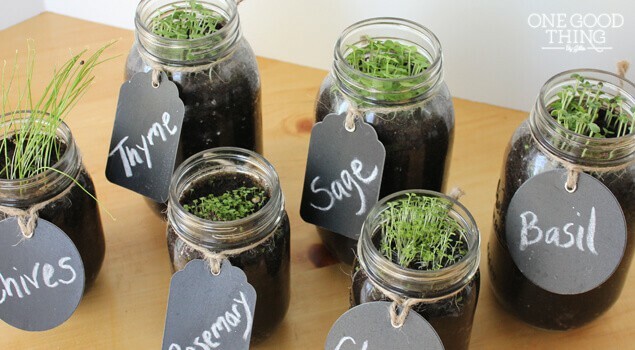 2 – DIY Mason Jar Herb Garden. Perfect for the office window sill. Note to self: I love this idea! 3 – Rock Garden. 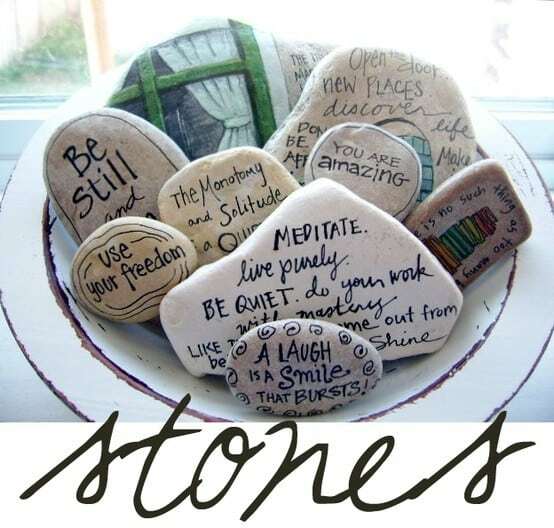 This one is easy: find some rocks, a sharpie, pass them out to your office mates and fill a bowl with quotes and messages for your boss. 4 – Cool Card Poster. You are sure to earn some extra brownie points with this one. 5 – Keep Calm and Lead On. 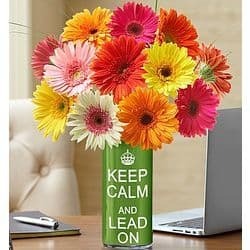 If you must go the flower route, here’s a clever vase. 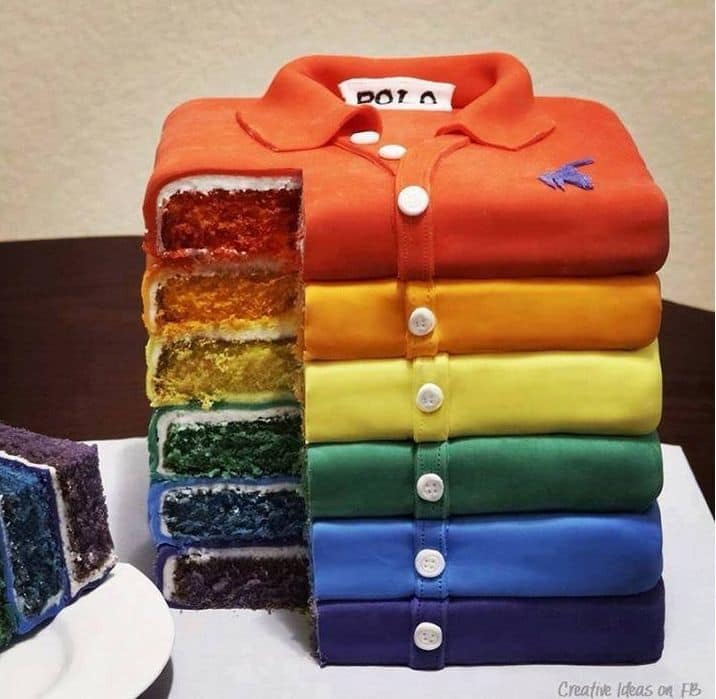 6 – Shirt Cake. No need to send out for dry cleaning. 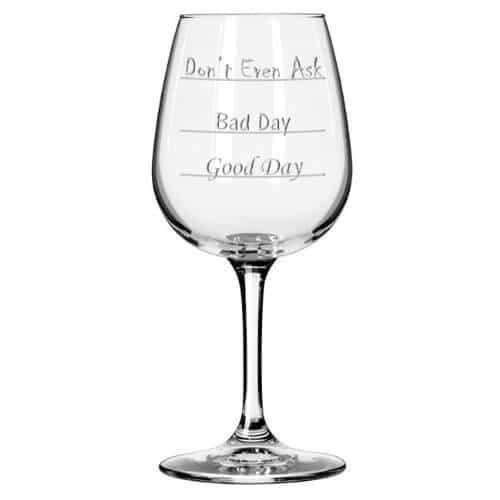 7(a) – Mood Wine Glass. Good Day – Bad Day – don’t even ask! 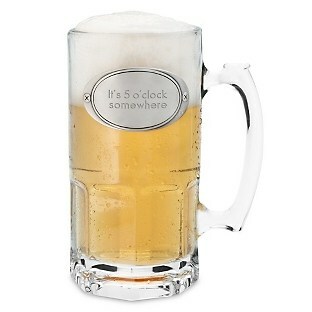 7(b) – Moby Beer Mug. If your boss acts like a friend, then it’s likely he or she has invited you out for a drink or two. 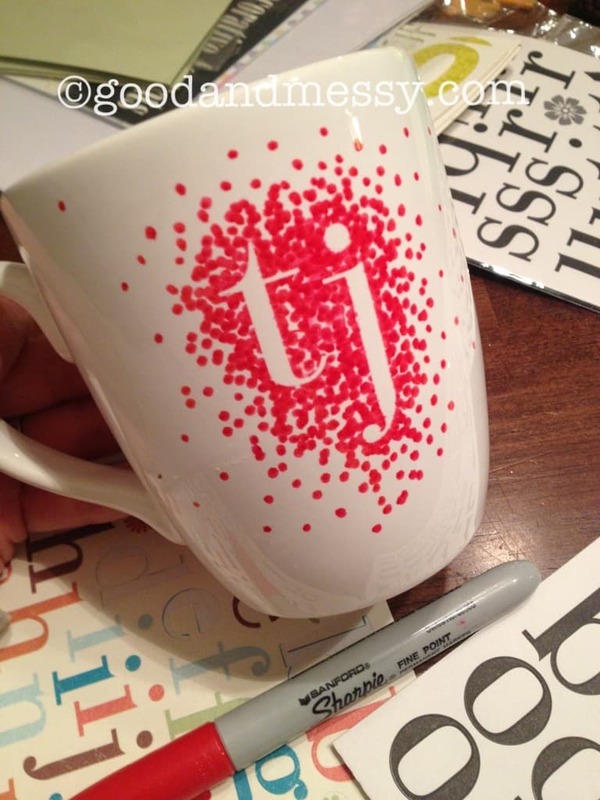 This personalized mug is bubbling over with style. 8 – DIY Spa In A Jar. Try saying that a few times. This idea is pretty simple and would also make a great Mothers Day gift (hint). 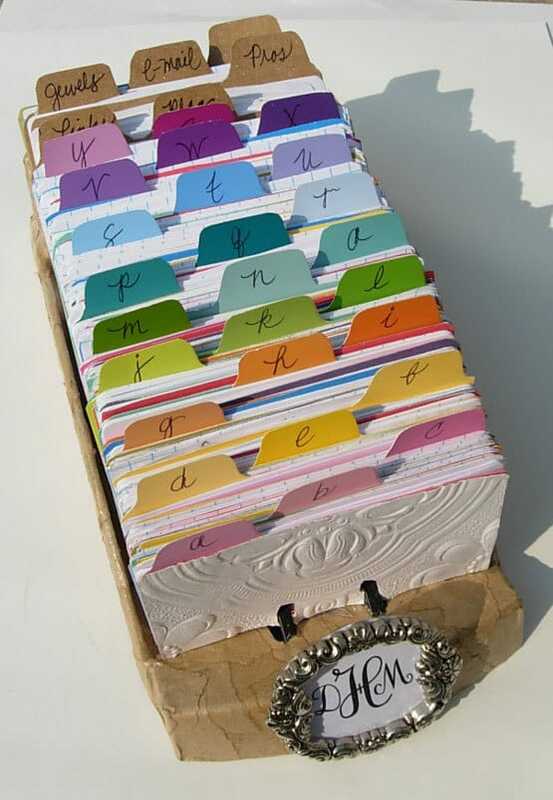 9 – Custom Rolodex. Don’t laugh. Bill Flitter, this may be old-school, but it’s coming back! 10 – Thanks a Latte. Substitute the mug with one from your favorite coffee shop or beverage. Great budget-friendly and quick present to put together. 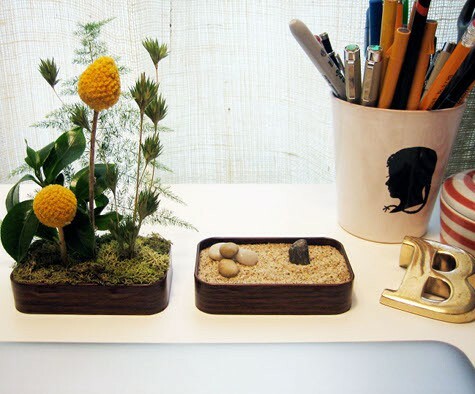 11 – Mini Zen Garden. Have any Altoid tins hanging around the office? 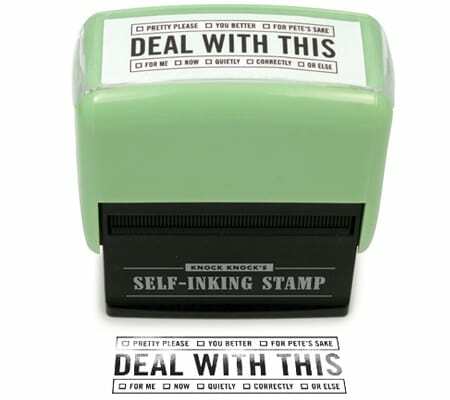 12 – Knock, Knock, Deal With This Self-Inking Stamp. When the urge to wield a rubber stamp strikes, an inkpad is rarely at hand. 13 – An Honest Day’s Work Notepad with Pen. Hope your boss appreciates your humor. 14 – Custom Coffee Mug. Got a sharpie? Grab a mug from the pantry and be creative. Note: Oil-based Sharpies and enamel-based paints made specifically for ceramics will make this dishwasher safe. 15 – Not Another Mug! Use sharpie from #14 above and grab another mug from the pantry. Wrap it up and let your boss enjoy! 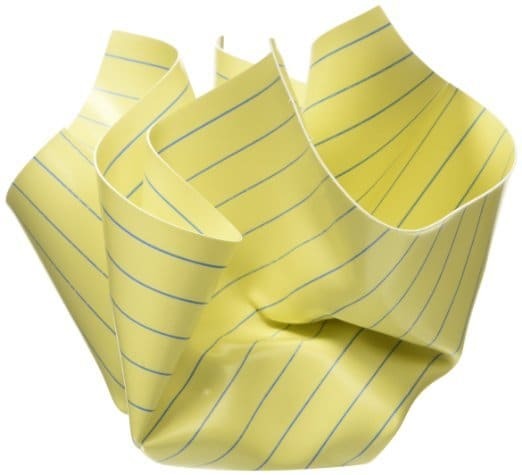 16 – Witty Crumpled Legal Paperweight. Here’s the DIY version: find a heavy rock, place it in the center of a piece of yellow lined legal paper, crumple the paper around the rock. Voila! 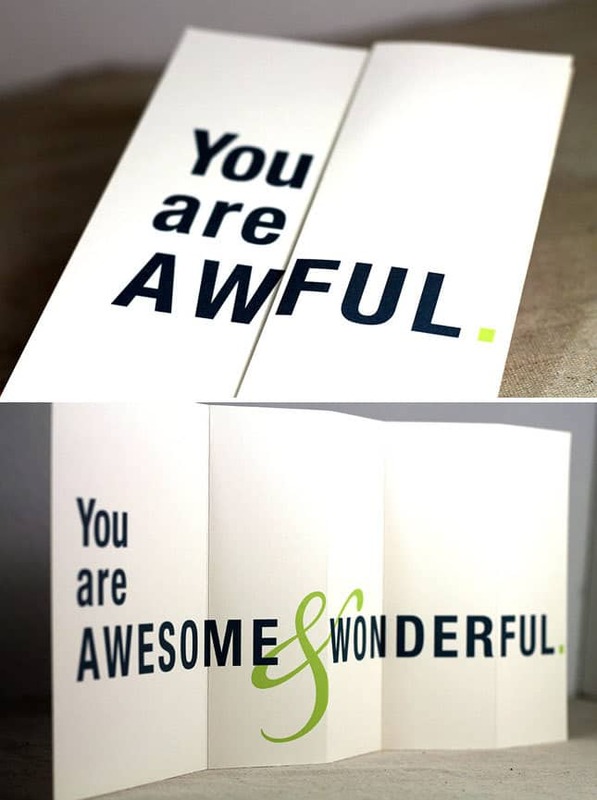 17(a) – You are Awful Card. Just kidding. Fooled you! 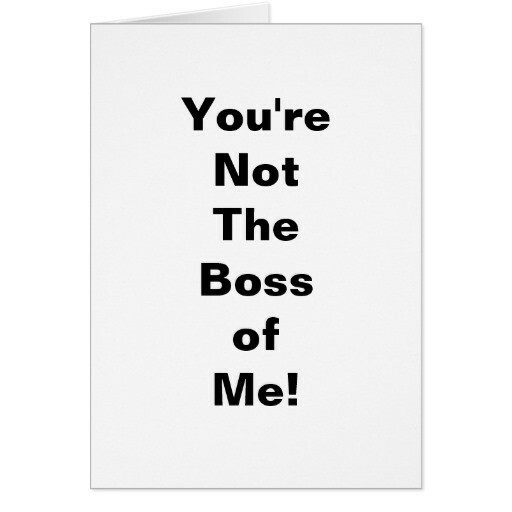 17(b) – You’re Not The Boss of Me Card. Oh, Wait…You Are!!! 18 – You Hold The Pieces Together. Another DIY project. Fill the jar with Reese’s Pieces and call it a day! 19 – Horrible Bosses DVD. Hope your boss has a sense of humor. When in doubt, go with a classic like Breakfast at Tiffany’s or Forrest Gump. 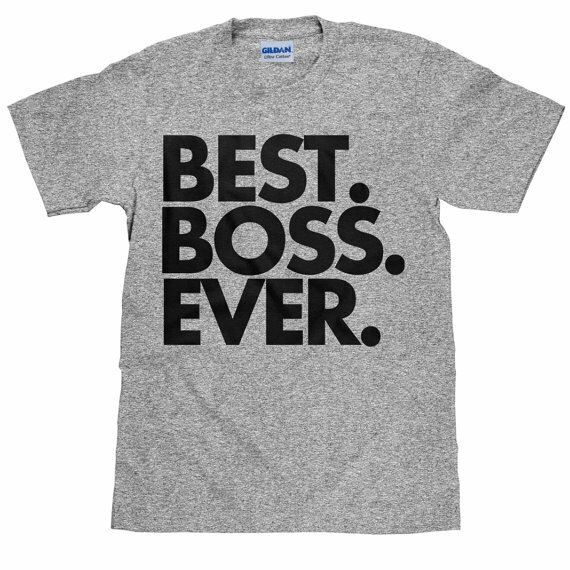 20 – Best Boss EVER! You can’t go wrong with this one (except for the size!). And, there are plenty of DIY versions out there if you have the time. Already have an idea, but need a last-minute delivery method? 21 – A Boss’s Day Certificate. Use this certificate – if and only if you are entirely out of time! 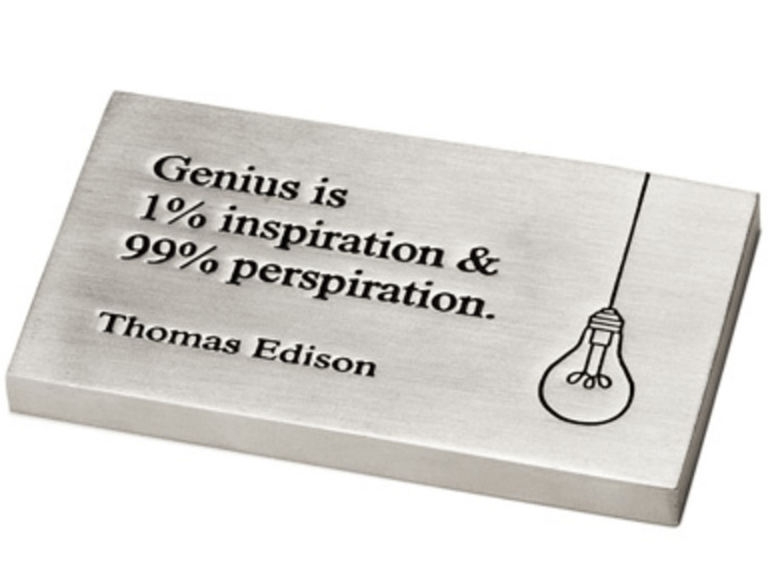 1 – Edison Genius Paperweight. 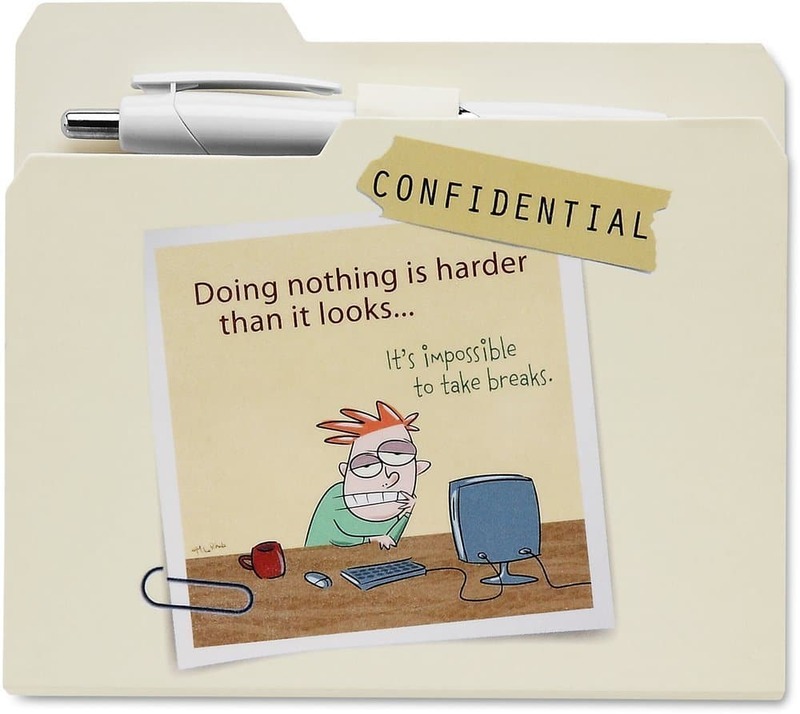 Remind your boss that hard work will pay off with this inspirational paperweight. 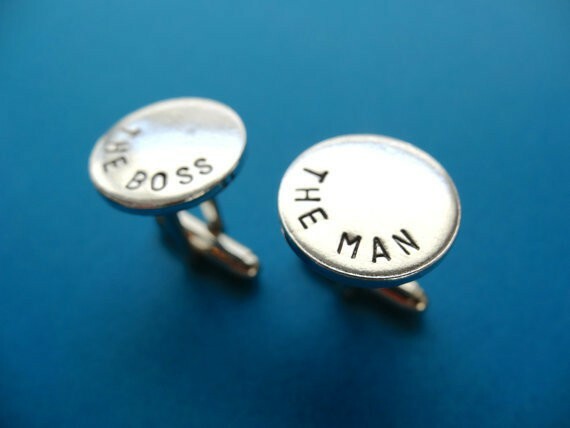 2 – Personalized Cuff Links. Traditional bosses love professional dress days. 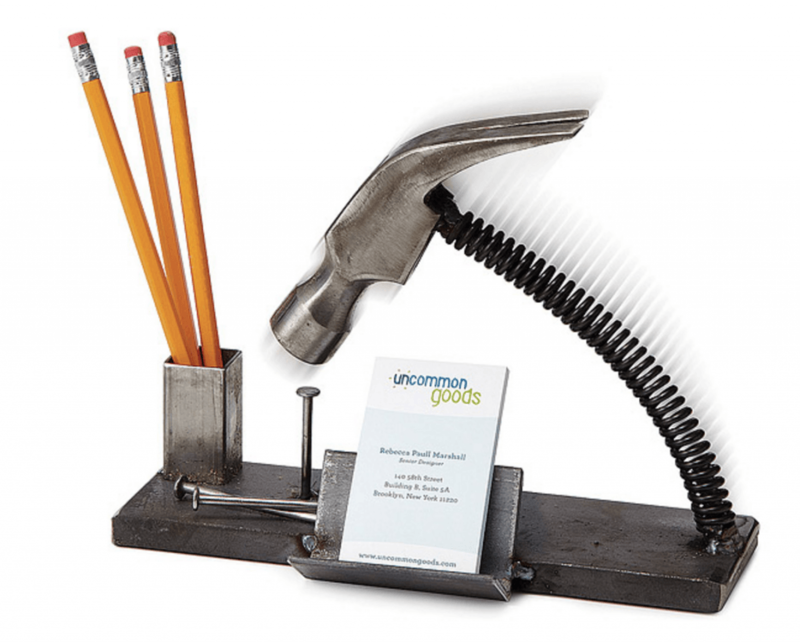 3 – Nailed It Desk Organizer. 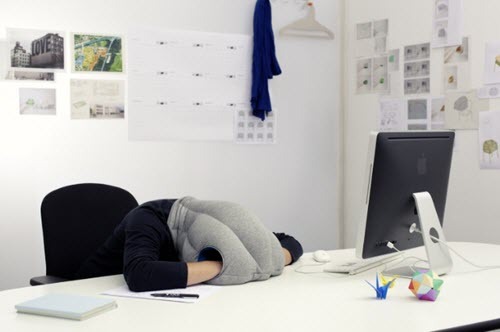 You’ll have no problem hitting it off with your boss at the office with this quirky desk accessory. 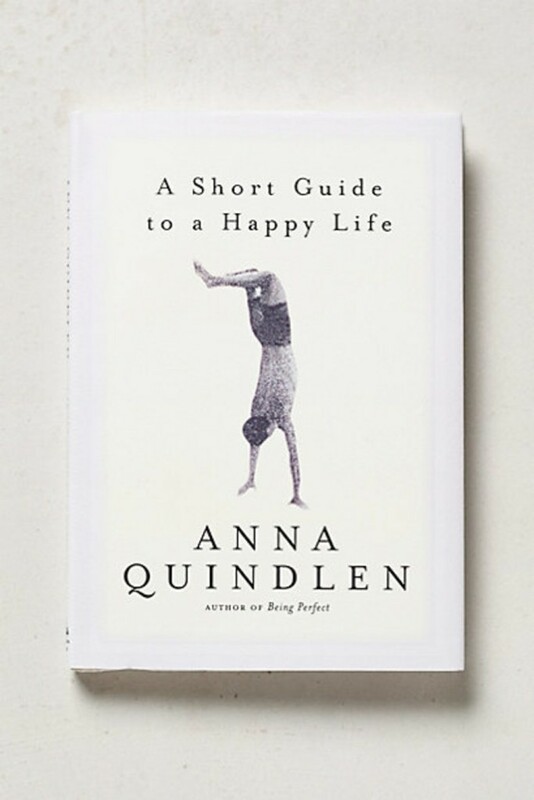 4 – A Short Guide to a Happy Life. The oddball boss tends to enjoy talking deep or spiritually, so give your boss some more material with this remarkable book about life. 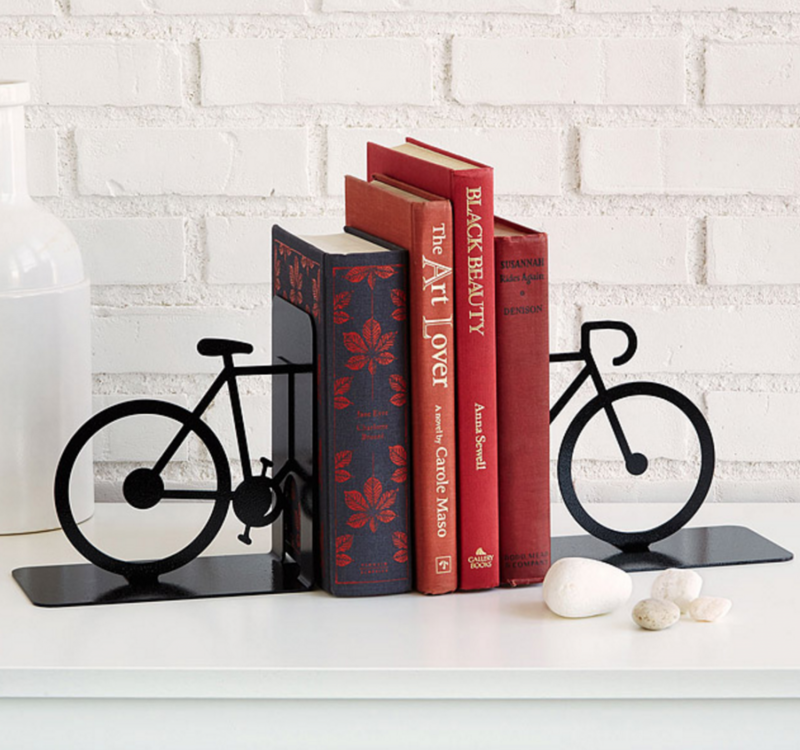 5 – Bicycle Bookends. From the misty shores of Maine to the park down the road, you never know where a good book–or bike ride, for that matter–can take you. 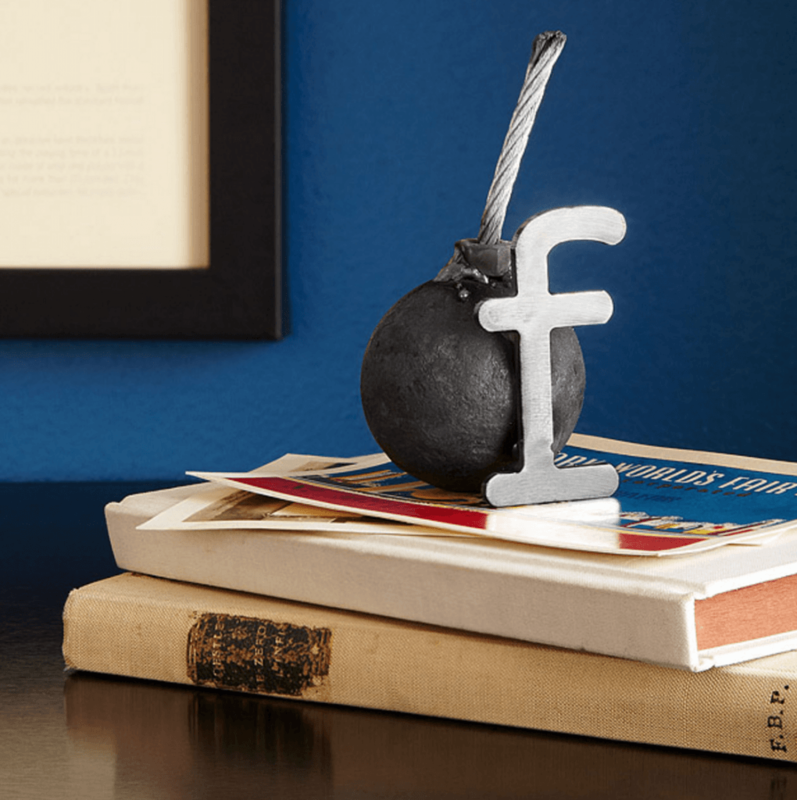 6 –F-bomb paperweight. The friendly boss probably joins in at the water cooler and enjoys office humor. This recycled steel paperweight is sure to be an expletive hit in the office. 7 – At Your Service Bell. Can I get some service around here? Ding ding! 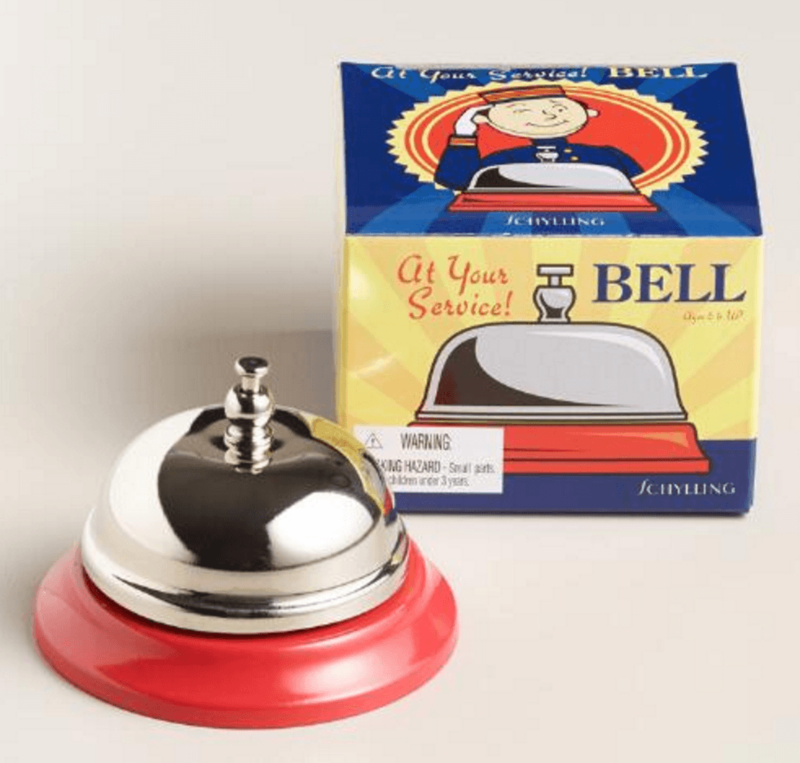 With this handy red service bell, you can finally get your boss’s attention in a hurry. Still not inspired? Here’s our final suggestion. Seriously, you can’t go wrong! 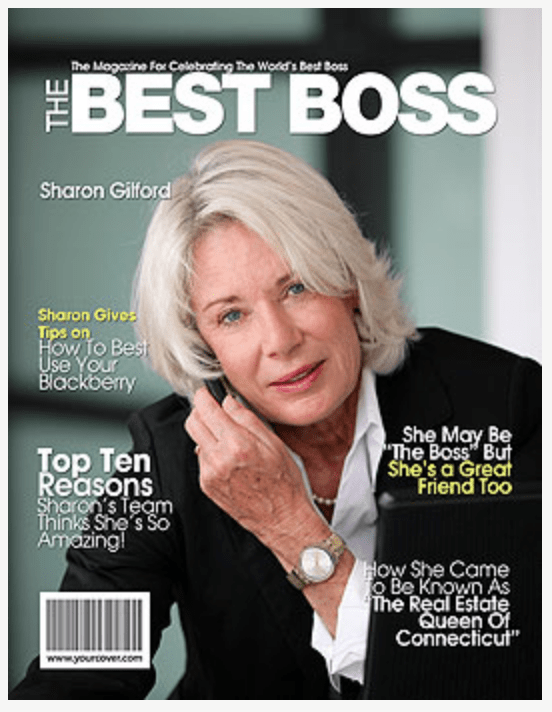 Bonus: Personalized Best Boss magazine cover. Features a photo of your boss along with custom headlines with inside jokes and special memories. A unique gift that will bring a smile and be kept for years to come. Happy Boss’s Day to all the bosses out there ~ especially mine! 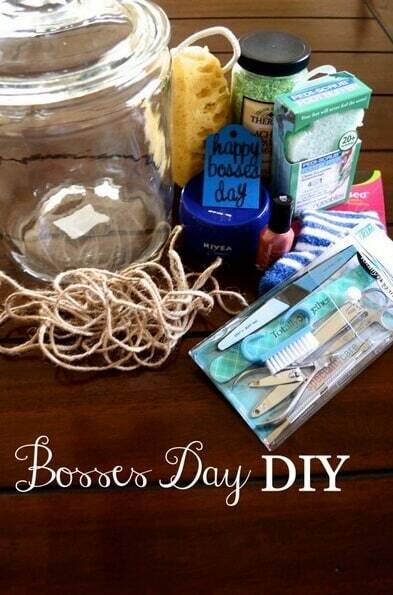 Have any awesome Bosses Day traditions or gifts? Please feel free to add them in the comments. 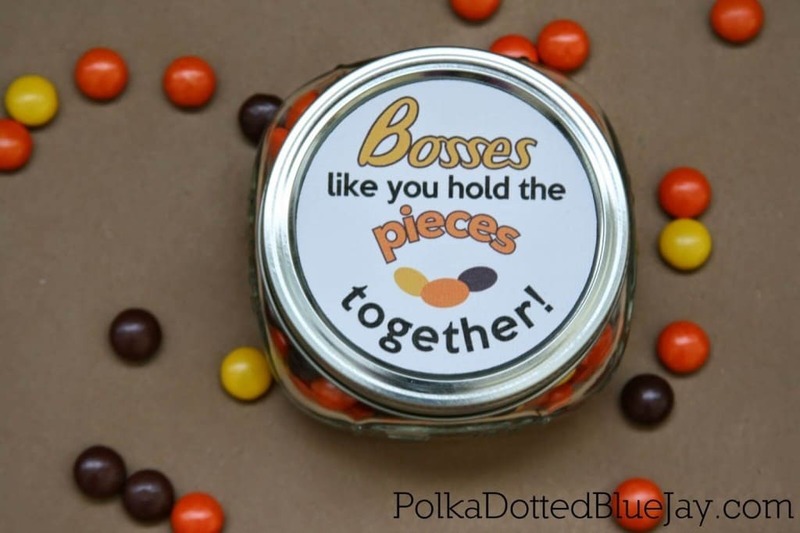 Share the inspiration and cool ideas for Boss’s Day!